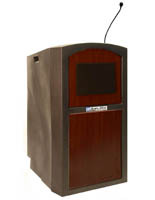 This portable podium with wireless microphone is a mobile lectern with built-in sound system designed for use indoors or outdoors. 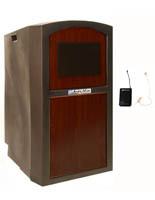 Each full size plastic speaking stand is made of durable waterproof, weather resistant plastic with a black shell and cherry finish insert. 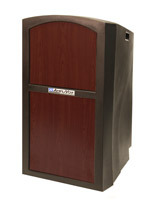 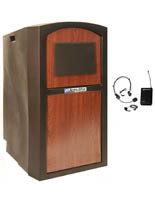 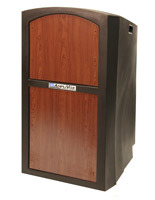 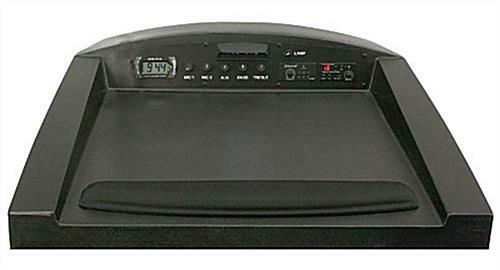 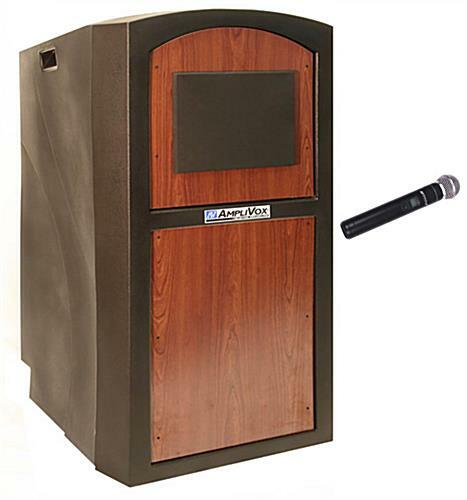 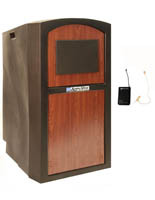 The wheeled podium with wireless microphone is Bluetooth-compatible, features built-in speakers (2), a 16-channel receiver, a 150-wall amp, and a handheld mic. 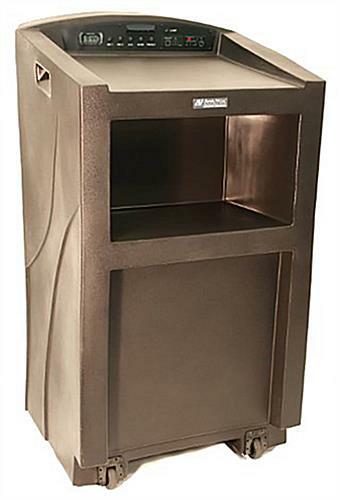 This lightweight fixture's tilt-and-roll design incorporates handles for easy movement. 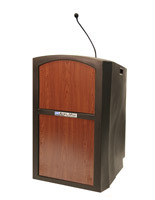 This black and cherry podium with wireless microphone and built in PA is a great choice for any facility, business, or organization. 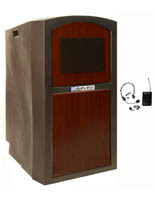 The stylish design, functionality, and mobility of this indoor/outdoor speaking fixture make it ideal for special and corporate events, community and government agency use, meetings, conferences, convocations, sermons and ministry.